It’s no secret that McMaster University’s “Brighter World” campaign has not been well-received by students, as demonstrated by recent actions by student protestors who replaced the slogan with “Whiter World” on a protest banner and distributed “Whiter World” posters in Dec. 2018. Besides encouraging racist and ableist ideologies of what a “good”, “smart” or “bright” student is, the Brighter World campaign clashes with the problematic histories of the wealthy, white men that McMaster happily accepts money from; namely from Ron Joyce and Michael DeGroote. This statement, as well as every narrative McMaster has put forward about Joyce, overlooks the sexual assault allegations against the billionaire in addition to numerous other lawsuits against him. The allegations of these suits include intentional infliction of mental suffering, cheating Lori Horton out of her share of the Tim Horton’s franchise, and more. Joyce attempted to have the sexual assault suit against him dropped, but the Appeal Court ruled in 2017 that the allegations warranted a trial. At this trial, Joyce maintained that he gave the victim $50,000 as “a gesture of friendship” rather than money to bribe her away. He denied that any assault had occurred, despite the $50,000 in perceived hush money. The fact that McMaster never cut ties or removed Joyce’s name from our school after these allegations is telling for students. Amidst the current discussion of how McMaster and the McMaster Students Union treat sexual assault cases and survivors, McMaster’s friendship with Joyce reveals where their priorities lie. As long as Joyce’s sexual assault trial is left unacknowledged, McMaster continues to send the message that they value capital over the safety and mental health of students and survivors. McMaster has also explicitly supported Michael DeGroote after his murky financial escapades came to light. 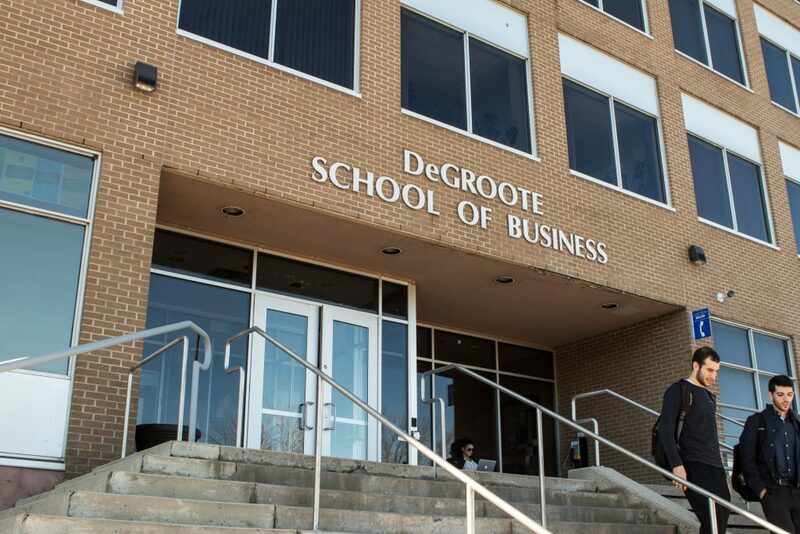 DeGroote, whose name is on our business and medical schools, invested in a casino business venture that initially appeared to be just that. However, he continued to invest even when it was evident that there was organized crime involvement in the venture. Although it could be argued that DeGroote was unaware of this — however ignorant he’d have to be for this to be the case — he was recorded promising to send $150,000 “no strings attached” to a man who had offered to create evidence to prove that the brothers who started the casino venture had defrauded DeGroote. “There’s ways of buying evidence, but it’s got to be done right,” DeGroote said in the recording. Despite the overwhelming evidence generated from a year-long investigation by the CBC and the Globe and Mail, McMaster reaffirmed to CBC that DeGroote is a “thoughtful, visionary, and very generous man,” while refusing to address if DeGroote’s involvement with mafia activity would change the way they accept money from him in the future. The names of Ron Joyce and Michael DeGroote on our campus are a constant reminder of how little McMaster values its students, and that Mac administration will let anything slide if the donation is big enough. Even if McMaster is unlikely to alter the names of these buildings and schools, it is crucial for students to be aware of where funding for them came from, and the therefore hypocritical nature of McMaster’s Brighter World. If McMaster truly aims to create a Brighter World which campaigns for the “health and well-being of all”, they can start by scrubbing off these stains on our campus.